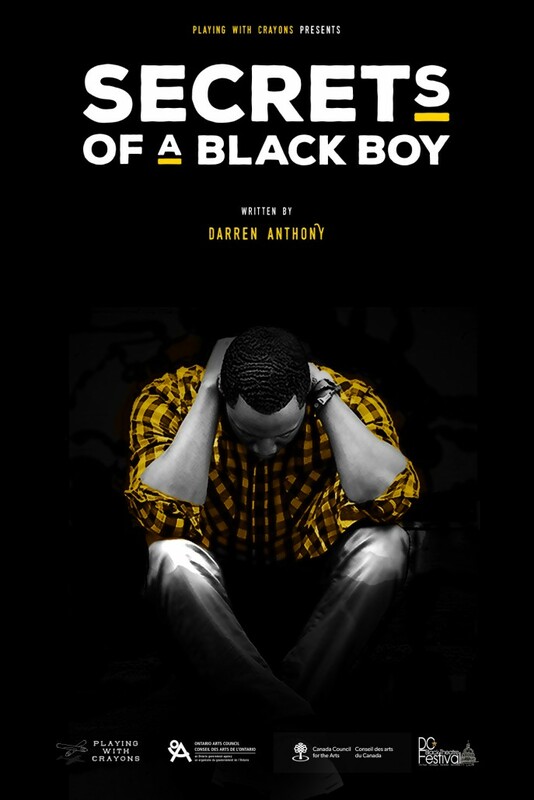 Please join us for ONE NIGHT ONLY at Single Carrot Theatre for a special production of Secrets of a Black Boy by Darren Anthony produced by Toronto’s Playing With Crayons. As SCT closes out our 8th season (whoa!) we’re highlighting some major players in our final Main Season production of the year: Blind From Here written by Ensemble Member Alix Fenhagen. We sat down with the director of the show, Stephen Nunns. Stephen previously directed directed the smash success The Memo by Vaclav Havel for SCT, which won City Paper’s 2014 Best of Baltimore Award for “Best Revival”. A world premiere, Blind From Here follows a 90s band on their quest for greatness, and the lead singer Elsa’s personal journey of coming to terms with her own dreams in an uncertain future. Single Carrot Theatre (SCT): The rehearsal process for Blind From Here was split into two segments, the first this winter for script development, and now a more traditional process as we approach the show’s opening. What are the benefits of this? Stephen Nunns: Workshopping a new play is invaluable for the playwright. The time working on it is invaluable, but more importantly, the time in between gives the playwright some breathing space to not only rewrite, but also to rethink stuff. Sometimes leaving a piece alone and coming back to it is as important as the actual writing work. SCT: You are working with a playwright who is an ensemble member at SCT. What’s exciting about workshopping a production that you don’t necessarily get with published scripts? Stephen Nunns: From a director’s point of view, I don’t know if I approach things that differently. I think I can offer dramaturgical insights during the script development process–specifically from a practical, staging point of view—and I’d like to think that these are useful for Alix. I think different playwrights work different ways–some of the want it to be a collective experience, and some of them prefer to be left alone. I’m good with whichever. I think Alix is a kind of combination, which is probably pretty healthy. SCT: Our central band, Blind From Here, is very much of a certain time period (the 1990s) in America. Is there a real band that they remind you of? Stephen Nunns: No, I mean, they kind of represent any band anywhere in the 90s. I think what’s nice is that they kind of stand as a metaphor for what happened with the punk/DIY culture and how its initial optimism became corrupted and cynical as time went on. In a way, I think they personify Kurt Cobain’s suicide note. You know, he wrote, “I haven’t felt the excitement of listening to as well as creating music along with reading and writing for too many years now.” And then he added, “I feel guilty beyond words about these things.” I feel like there’s a connection here, the band starts in this very optimistic place and then it gradually changes. However, unlike Cobain, the main character, Elsa, is a survivor. 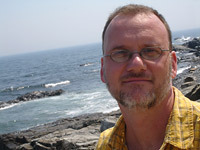 Stephen Nunns is an associate professor at Towson University. He is a cofounder of the Acme Corporation and co-directed the company’s 24-hour production of Samuel Beckett’s Play, which won Best Production in the City Paper’s Best of Baltimore for 2013. He also directed Single Carrot Theatre’s production of Václav Havel’s The Memo, which won Best Revival in the paper’s Best of Baltimore list in 2014. Before coming to Baltimore, Stephen lived in New York City for fifteen years, directing, writing, and composing music for theatre pieces at a variety of off-off Broadway venues. He was an associate artist at the seminal avant-garde theatre company Mabou Mines, where he created three theatre pieces, including the Obie Award-winning The Boys in the Basement.